Scientific Notation - Why your wrist (or keyboard) will thank you for not writing all those zeros. 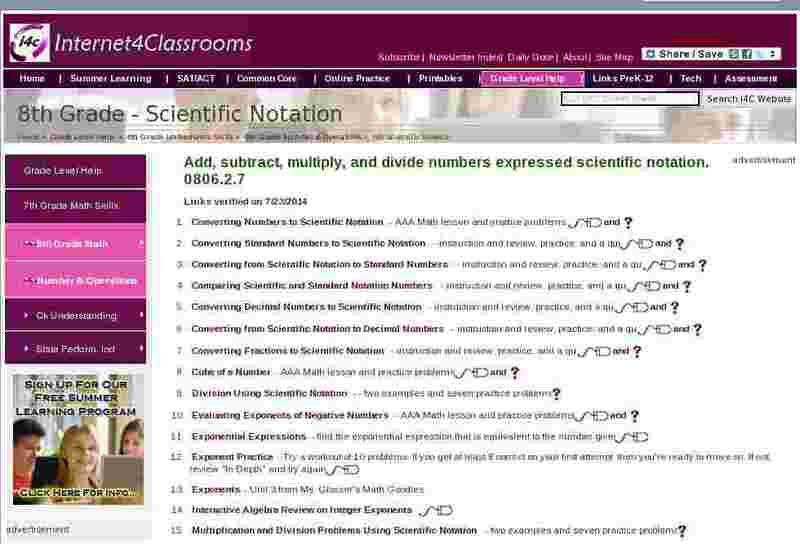 Scientific Notation Problem Generator - either the scientific notation or standard notation representation of a number will be shown. Put the corresponding value(s) in the empty cell(s) and press "Check Answer".